The best ways to prevent swollen gums are to practice good oral hygiene and eat a proper diet. Home treatments such as gargling lemon juice or salt water can both ease swollen gum pain when it starts. Other home remedies include using oils and some other common household food items to treat swelling. Apply clove oil to your swollen gums or chew on cloves to reduce swelling and relieve pain. Make a paste of ginger and salt. Rub directly on gums. Gargle with boiled lemon juice twice a day. Rinse mouth with warm salt water (one tablespoon of salt in eight ounces of water). Rub a mixture of baking soda and turmeric extract on your swollen gums. Create a mouthwash using essential oils such as peppermint, tea tree, and chamomile. Apply a paste of castor seed oil and camphor to painful, swollen gums. Gargle with a tea made of boiled lawsonia inermis leaves. Rub aloe vera gel on affected gums to reduce bleeding and pain. Make a mouthwash by boiling bark of babul tree in water. 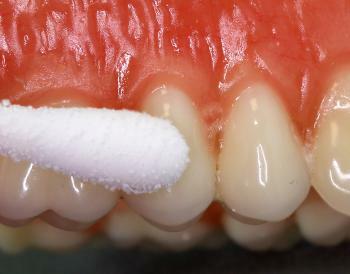 There are a number of conditions that cause swollen gums. The most common cause is gingivitis — a mild gum disease that results from bacterial buildup on the teeth around the gum line due to poor oral hygiene. If your gums are swollen for more than two weeks, you should see a medical professional or a dentist to identify the cause and work to treat it. The medical professionals at FastMed Urgent Care can examine your swollen gums and help determine the most effective treatment plan to give relief. Our extended weekday and weekend hours make it easy and convenient to get fast relief. 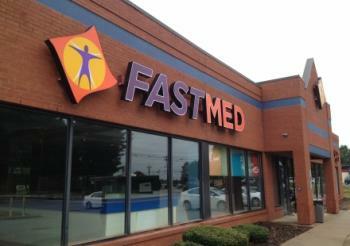 Contact us today to find a FastMed Urgent Care clinic near you!